Carla heard the car coming before it topped the little rise in the road that around here they called a hill. This scene-setting communicates the scale of where the story takes place (a small mobile home park). The words ‘…the little rise in the road that around here they called a hill’ tell us a lot about place. 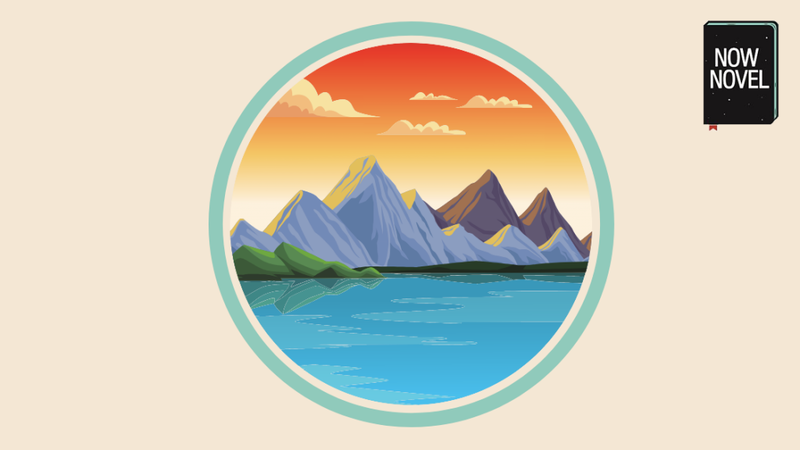 They suggest a quaint, smaller setting where there aren’t dramatic contrasts in landscape. A rise in the road is taken for a hill. ‘Around here’ and ‘they’ also suggest that Carla isn’t from the area, originally. We learn that Carla and her partner live in a mobile home in the woods, where they keep horses and earn a living by giving tourists trail rides. Carla’s story traces the ways relationships and places stifle people sometimes. How one or the other party sometimes wants to escape (and may attempt to do so). And also how people embellish the truth. The way Munro sets the scene, by suggesting differences in perception of place (some see a hill in the rising road, some don’t), fits the story’s development. Giving your reader a sense of how small (or vast) a place is is one way to introduce a story setting. PanOpticon’s lobby – cavernous as the belly of a stone whale – swallows me whole. Arrows in the floorpads sense my feet, and guide me to a vacant reception booth. A door hisses shut behind me, sealing subterranean blackness. David Mitchell, Number9Dream, p. 6. 2001. Eiji Miyake, the protagonist, describes the lobby of a building he visits in search of his father. Mitchell uses the poetic device simile, comparing the lobby to a whale’s belly, to make the place seem vast and prison-like. Like The whale swallowing Jonah, the lobby swallows Eiji whole and plunges him into darkness. (The ‘PanOpticon’ is also the name for a famous jail concept in which a warden could see into every cell from a central tower). Mitchell extends these images of the setting as a strange, almost living being in the futuristic feet-sensing floorpads and automatic hissing doors. Mitchell’s scene-setting effectively evokes a place that makes Eiji seem a little lost and vulnerable. He is at the mercy of this clinical, automated urban space. Good scene-setting can quickly establish the tone and emotion of your story or chapter. It may introduce an undertone of the tragic, cheerful, nostalgic, or another emotion. Winter in Ohio was especially rough if you had an appetite for color. Sky provided the only drama, and counting on a Cincinatti horizon for life’s principal joy was reckless indeed. Aspects of your setting a character feels strongly about – what do they love (or loathe) about this place? Instead of the broad sweep of what a Cincinnati winter is like (as in the Morrison example above), you may want to set your scene in minute, intriguing detail to start. First, picture the forest. I want you to be its conscience, the eyes in the trees. The trees are columns of slick, brindled bark like muscular animals overgrown beyond all reason. Every space is filled with life: delicate, poisonous frogs war-painted like skeletons, clutched in copulation, secreting their precious eggs onto dripping leaves. Barbara Kingsolver, The Poisonwood Bible (1998), p. 5. The story follows the lives of a family of missionaries from the US in the colonial times of the Belgian-occupied Congo. The rich detail in how Kingsolver sets the scene evokes the intensity, the vivid life, of a jungle wilderness to western eyes. One disadvantage of detailed scene-setting is that it unfolds slower than the kind in David Mitchell’s example. Yet Kingsolver is also writing in a more ‘literary’ style that allows for slower scene-setting. Mitchell’s novels tend to straddle literary style and genre elements (such as adventure novel and sci-fi). Use whichever you prefer – a slow build-up of introductory detail or a short, sharp setting intro. Only make it fit your story. Both kinds have their value and help to create immersion in a story’s world. Time is also a key aspect of setting. Time period, the era or epoch in which a story is set, contributes many interesting constraints and details. For example, whether or not women had the vote yet. Or what people wear. What medical treatment involves. Time frame refers to the duration the story spans (a few hours, weeks, years, decades). In 1902 Father built a house at the crest of the Broadview Avenue hill in New Rochelle, New York. It was a three-story brown shingle with dormers, bay windows and a screened porch. Striped awnings shaded the windows. The family took possession of this stout manse on a sunny day in June and it seemed for some years thereafter that all their days would be warm and fair. E.L. Doctorow, Ragtime (1974), p.3. This simple scene-setting opening the first chapter gives a clear idea of when Doctorow’s historical story is set. Early 1900s, pre-War New York. Simple details of the year and the the home’s architecture are all it takes Doctorow to establish a sense of time period, and the year date gives us a specific time-frame for the start of the family’s story. Setting the scene with action that draws us into your setting is another simple and effective way to introduce place. Every place has its specific details. For example, if introducing the pilot’s cabin in a commercial aircraft, your opening scene setting might focus on the many lights on the dashboard, or the view of the runway, people waving in the distance from the departure terminal. He takes a few deep breaths, then scratches his bug bites, around but not on the itchiest places, taking care not to knock off any scabs: blood poisoning is the last thing he needs. Then he scans the ground below for wildlife: all quiet, no scales and tails. Left hand, right foot, right hand, left foot, he makes his way down from the tree. On the eastern horizon there’s a greyish haze, lit now with a rosy, deadly glow. Strange how that colour still seems tender. The slightly ominous environment (the ‘deadly glow’ giving away the first hint Snowman is living after a calamity of some kind) mixes with Snowman’s actions. He sleeps in a tree for shelter, as we learn from the narration on page 4. Simple acts of climbing a tree for shelter, noticing ‘deadly glows’ and dangerous wildlife, give us the signs we need to begin realizing important details about Snowman’s environment. 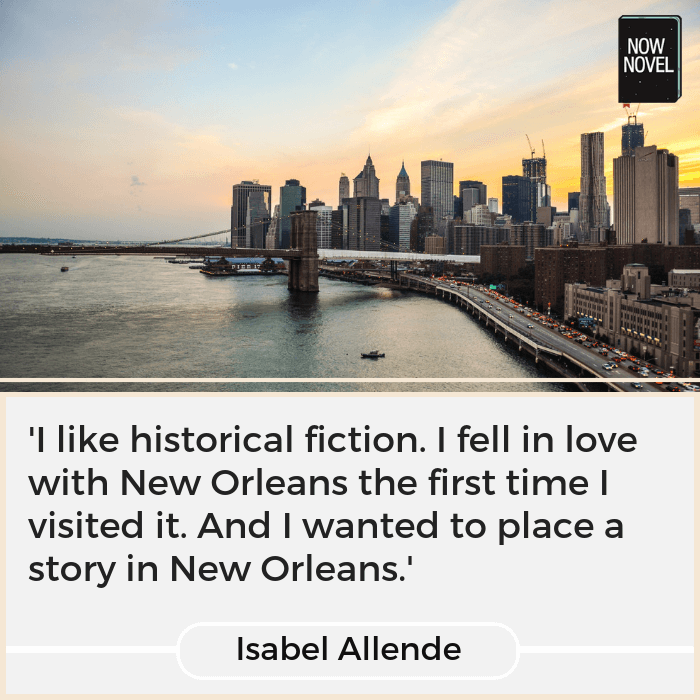 When you introduce a place in your story, think what small interactions between your characters’ and their environment can give your readers an idea of where your story unfolds. 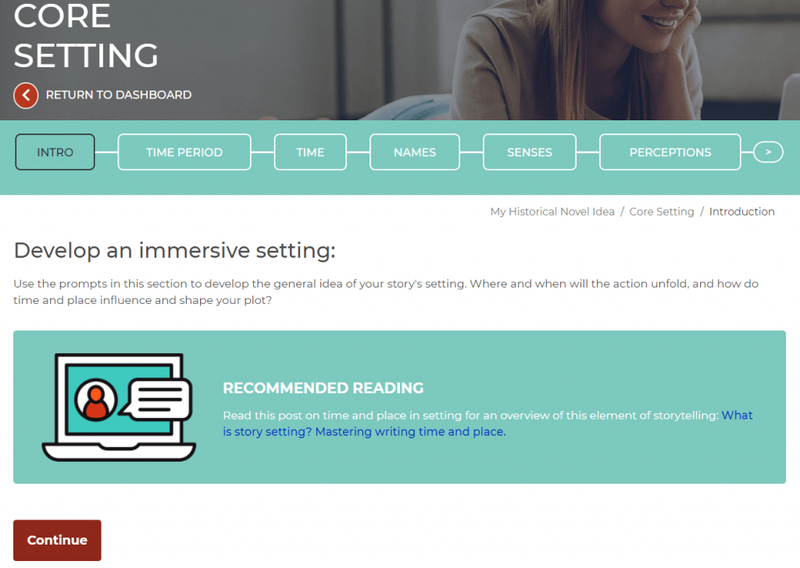 Use our outlining tool to develop your story’s settings, step by step, and get extra help when you work with a writing coach.